The mayor faces a raft of allegations against her related to misconduct and corruption in her administration. Former DA parliamentary leader Lindiwe Mazibuko and African Democratic Change (Adec) leader Makhosi Khoza have both thrown their weight behind embattled Cape Town Mayor Patricia de Lille, suggesting that the mayor has been unfairly treated by her party because of her race and gender. 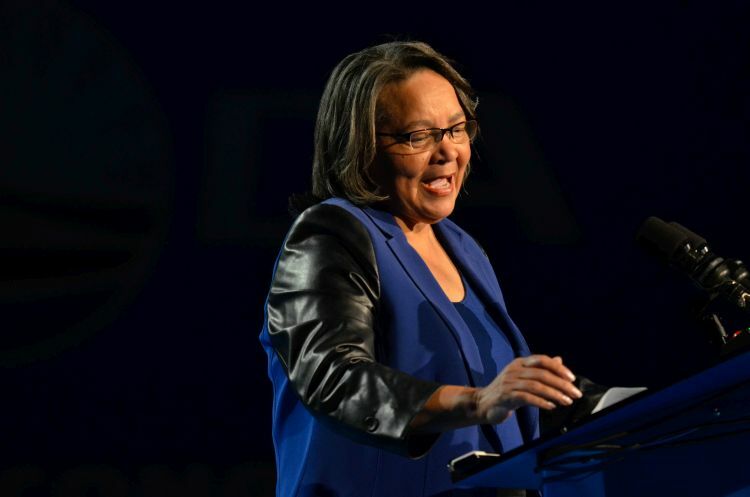 This after the DA on Sunday said it had laid criminal charges against De Lille for allegedly soliciting a bribe from a Vanderbijlpark businessman in 2012 who claimed that she asked him in a telephone conversation for R5 million in relation to a potential deal involving automatic fire extinguishers. De Lille has denied the allegations against her and questioned the timing of the charges. The mayor also faces a raft of allegations related to misconduct and corruption in her administration. As well as a pending motion of no confidence tabled by the DA due to be debated in the City Council on February 15. “I have not been formally notified of these charges by the South African Police Service [SAPS]. Should criminal charges have been laid against me, I will cooperate openly and transparently with the SAPS. I deny and reject the reported allegations with the contempt it deserves,” De Lille said in a statement on Sunday. Mazibuko took to Twitter on the same day to show solidarity with the mayor, saying she was “sick” of people who described De Lille as “power drunk” and lamented that black women exercising power in elected office were often seen an “aberration”. “I am sick of people describing Patricia de Lille as ‘power drunk’ as if this empty accusation can be legitimised by repetition. A black woman’s ambition is not a crime. A black woman exercising power in elected office is not an aberration. We see you and your dog whistle politics,” she said. The former DA parliamentary leader was responding to a tweet posted by Stefan Maree who accused De Lille of being “power drunk” and dishonest. Khoza was more scathing in her criticism of the DA. She accused the party led by Mmusi Maimane of being “anti-women of colour” and referred to Mazibuko as an example of such a claim. The ANC is not an option for Change, the @Our_DA is not an option either, especially with its racist character and non -tolerance for women of colour. It is on this basis I'm asking @MmusiMaimane to stop calling me for meetings to discuss ADeC, ADeC is not up for grabs.